The Ring Mistress Welcomes you! Welcome to my Blog! 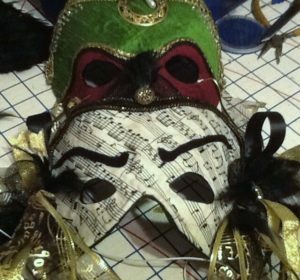 This is your place for custom made fantasies for Renaissance Fair, Cosplay, Halloween and Corporate Events. Looking for custom made attire for your next event? Please visit my website www.costumesbyantonia.com for more information. Are you a DIY sort of person? No problem! Customized sewing lessons and workshops are available too. For more information on how to Unleash Your Inner Fashionista© visit my other website www.learnhow2sew.com. Other available services are Historical Costume Research, Product Development and Wardrobe Refurbishing. 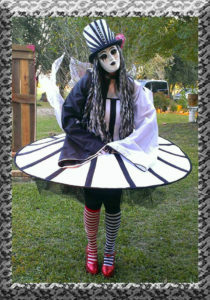 Please contact me directly by phone (832-652-9180)or email costumesbyantonia@earthlink.net. This email address has a high filter so if you get an automated message, please click to become an allowed sender. Now a bit about me: My name is Antonia Fuentes and I am an award winning designer, writer and teacher living in Houston, Texas. I am originally from California and I graduated from the Fashion Institute of Technology in New York with a degree in Fashion and Costume Designing. I have traveled around the world working in film, tv, theatre etc etc… This blog is dedicated to all lovers of costume and fashion design and to all of those wishing to Unleash their Inner Fashionista©! I welcome my readers to comment and discuss as long as it is in a positive, respectful manner. Any negative or abusive posts will be deleted to the fullest extent of the law. Comments and discussions are welcomed and encouraged, as long as they are positive and respectful. Any comments deemed to be abusive or negative will be deleted to the fullest extent of the law! Next Next post: Wait! That’s NOT Purple!